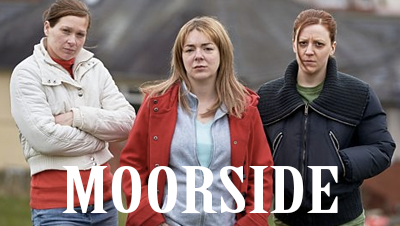 The two-part ITV drama “Moorside” follows the notorious kidnapping of nine-year-old Shannon Matthews, who disappeared from her home estate in Dewsbury, West Yorkshire in 2008. The facts of the case are familiar to many. After three weeks, the case (originally reported by Karen Matthews) escalated to a murder investigation. But Shannon is then discovered under a bed, in a nearby house owned by Karen’s friend, Michael Donovan. The masterminds allegedly conspired to stage an abduction, and to later share £50,000 reward for her safe return home. This story does not focus on the abduction, or Shannon, or the eventual arrests, but the crusade of neighbour, Julie Bushby (Sheridan Smith.) The new angle on the controversial tale was a genius decision by writer, Neil McKay, and producer, Jeff Pope. It avoids clichés, and the risk of milking a well-known plot. Instead, it begins with a phone call that sets everything into motion. Julie desperately attempts to show the unity of the residents. She organises a community search, rallies, involves the media, and becomes a common face on British news channels, giving multiple inspiring speeches during their hunt for Shannon. Knowing the truth while Julie and her neighbours defend and help Karen makes it difficult viewing. But throughout the frustration, Julie’s loyalty to her friend, even after the truth unfolds, is inspiring. The obvious concern is that the entire programme depicts a scenario of group delusion, just a year after the notorious abduction of Madeline McCann. The cast is marvellous. Sheridan Smith (“Two Pints of Lager and a Packet of Crisps”) inhabits her character, giving one of her finest performances. Sian Brooke puts the skills she learned from her brother in “Sherlock” to good use as Natalie Brown, a friend who suspects Karen’s involvement in the case. And Gemma Whelan from “Game of Thrones” shows her versatility as an actress. Gemma portrays Karen as naive and immature, the complete opposite of what we imagine at the sound of her name. The childish representation purposely leaves a lot of room to question Karen’s mental stability, presenting her as ignorant rather than evil, but be assured, her actions are not even once excused. Although director Paul Whittington brings to life a very bleak tale, the contrasting comedy is what makes you keep watching. The new style is becoming very popular in recent entertainment, playing on the viewer’s fear and amusement. The benefit street “Moorside” explores the cramped, overcrowded semis in which the best, and the worst of human person dwell. Karen is desperate to fool the world. The community are desperate to show their worth. And Julie is desperate for a few moments of fame. But the show is still non-judgemental, allowing each viewer to make up their own mind. To any parent, the disappearance of a child is inconceivable. For the unfortunate few, the guilt of a missing loved one is purgatory. The production is real from beginning and to end, but still remains sensitive to the victim in all of this, an eighteen year old Shannon, who is hopefully living a happy life.